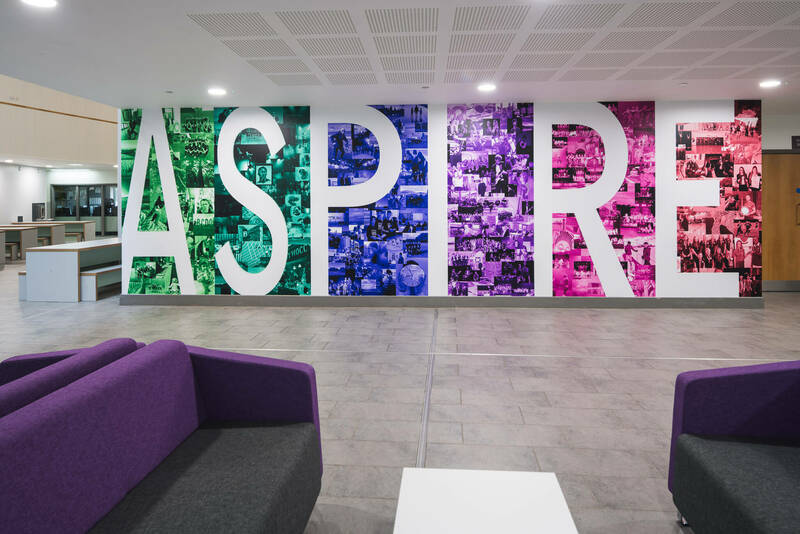 Sir Robert Woodard Academy in Lancing, appointed Pinnacle Furniture to complete the refurbishment of their Plaza dining hall and the ASPIRE courtyard. 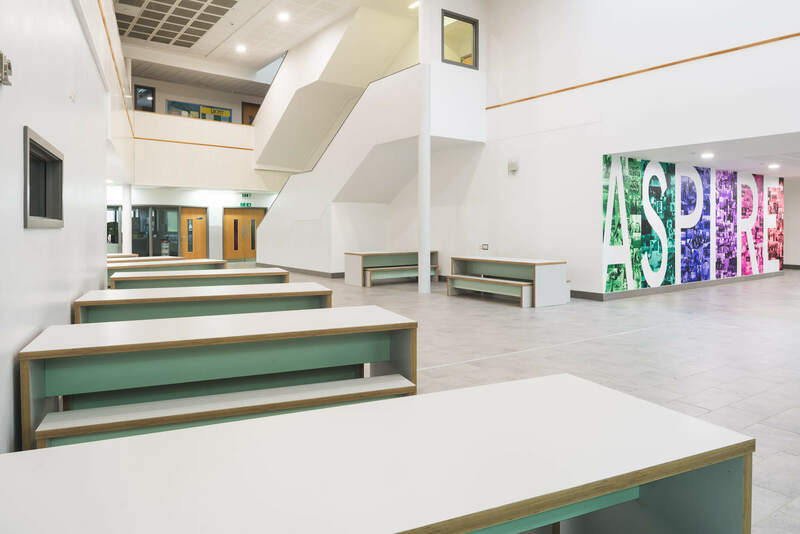 Sir Robert Woodard Academy, an existing client, approached Pinnacle Furniture to refurbish their Plaza dining hall and the ASPIRE courtyard. The previous furniture in the dining hall was impractical and meant that the space was often left in a messy state after lunch with chairs everywhere. 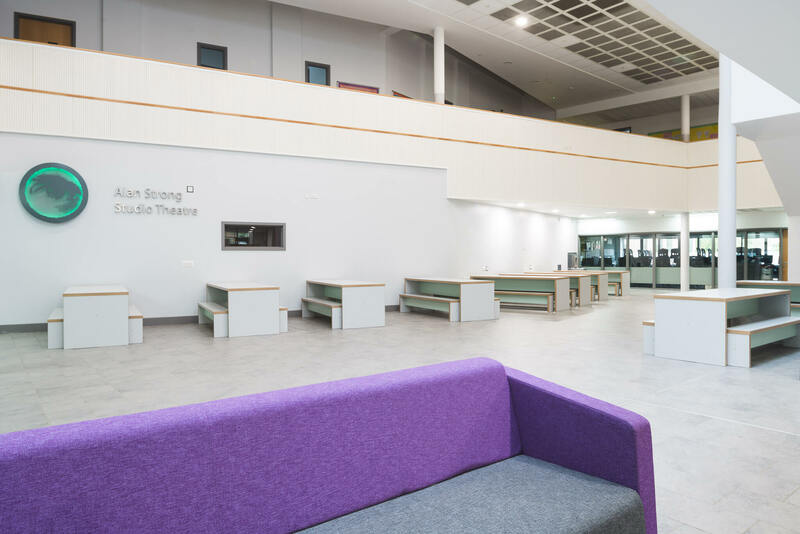 The School wanted us to provide furniture which would help to control the flow of traffic and maximise seating capacity. 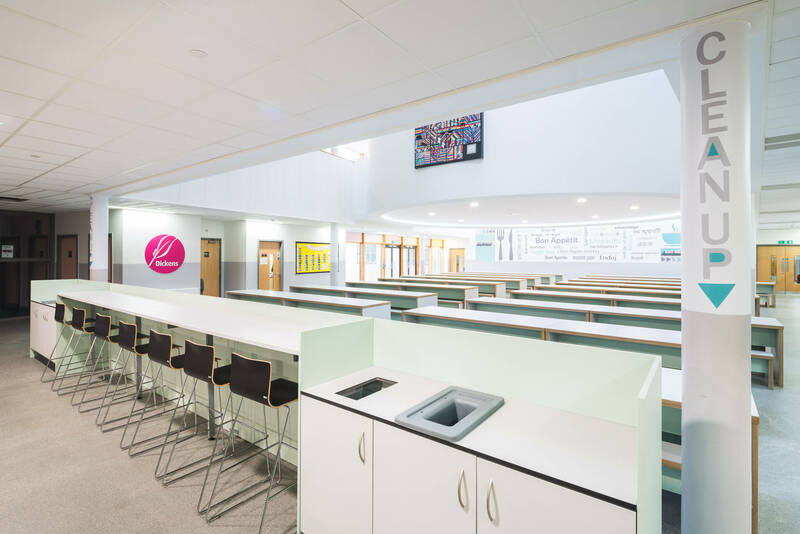 It was important to ensure that the furniture wasn’t too easy to move, so that the dining hall was left in a presentable state after busy periods. 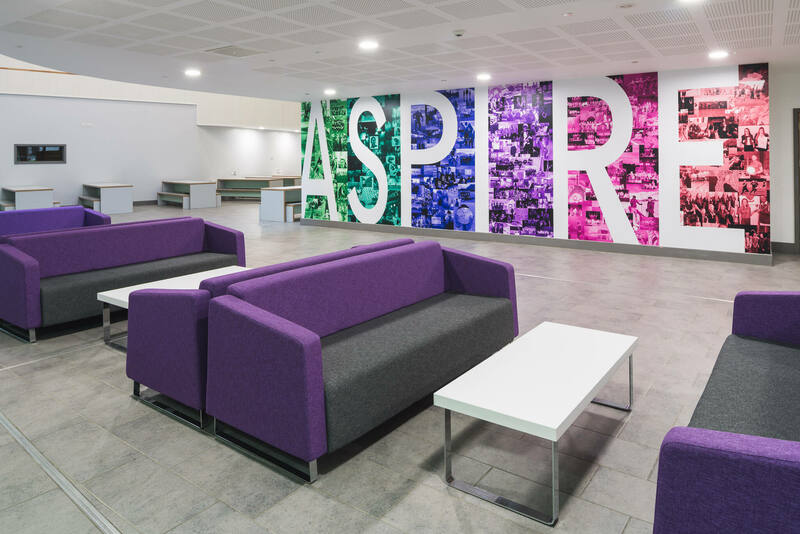 The ASPIRE courtyard is an area which is linked to the main reception and an extension of the Plaza dining hall. 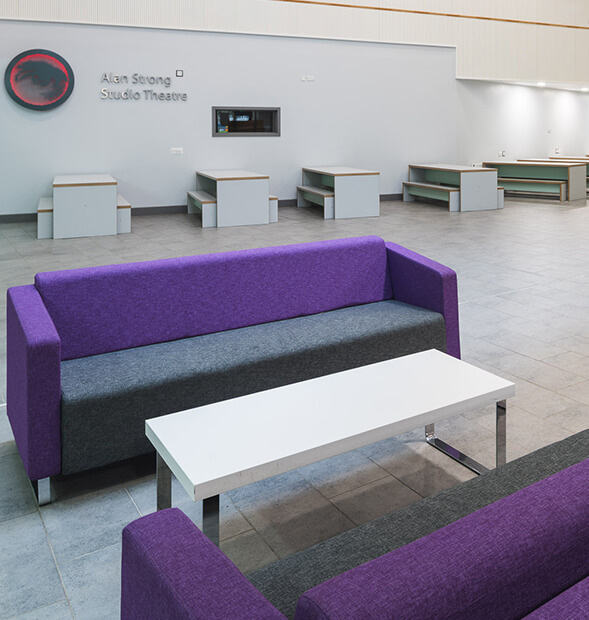 It was used for socialising, eating and reading, so it was essential that the furniture we supplied would facilitate these activities well. 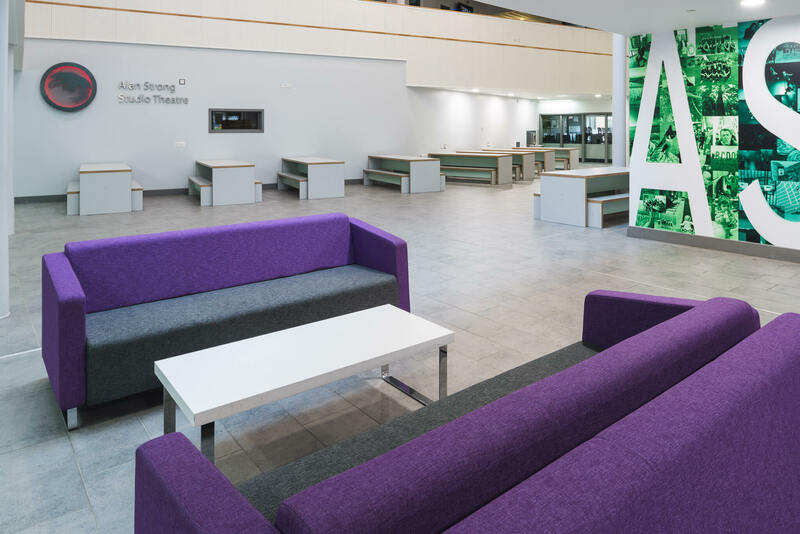 In the ASPIRE courtyard we supplied VooVoo sofas, upholstered in purple and graphite fabric, along with coffee tables with a sled base chrome frame. 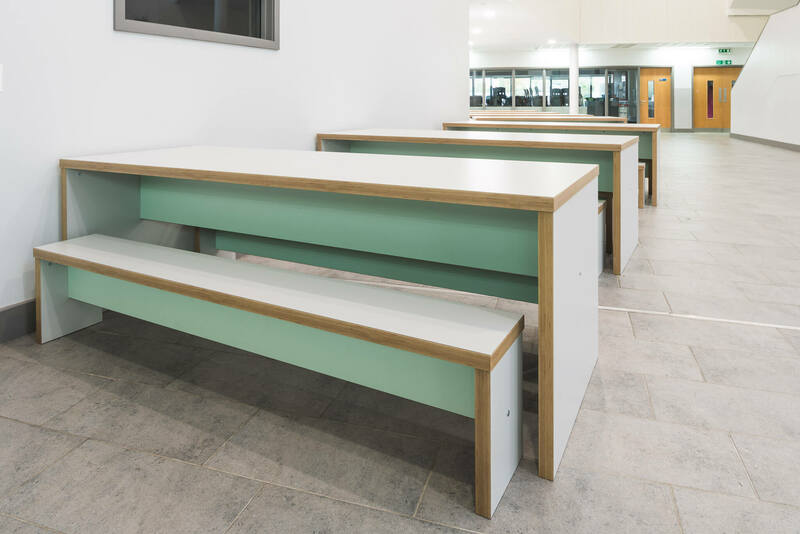 On the other side of the room, Pinnacle added a number of wooden Feast tables and benches in a combination of light grey and mint. 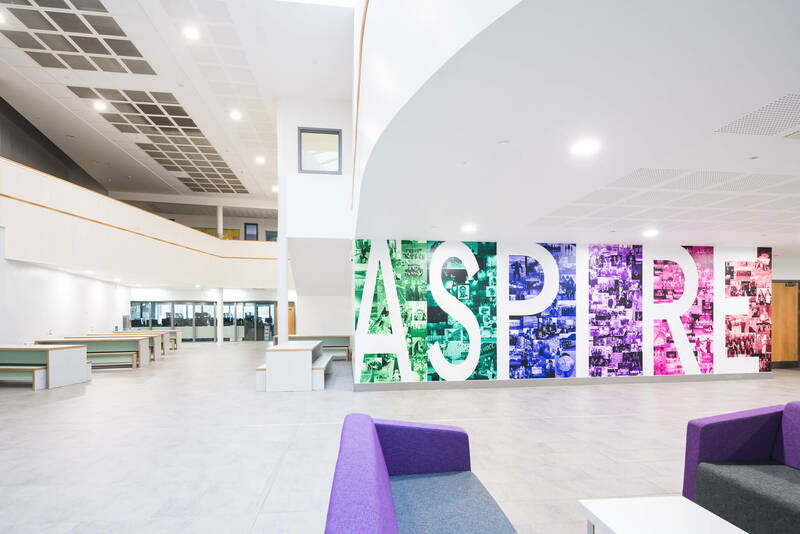 Our Design Team wanted to create a large vinyl graphic spelling out ‘ASPIRE’, which stands for Ambitious, Self-regulating, Present, Independent, Resilient and Excellence. We asked the students to come up with an image to represent each attribute and the images were positioned behind the letters on the graphic. Pinnacle provided 73 sets of Feast tables and benches in the Plaza dining hall. 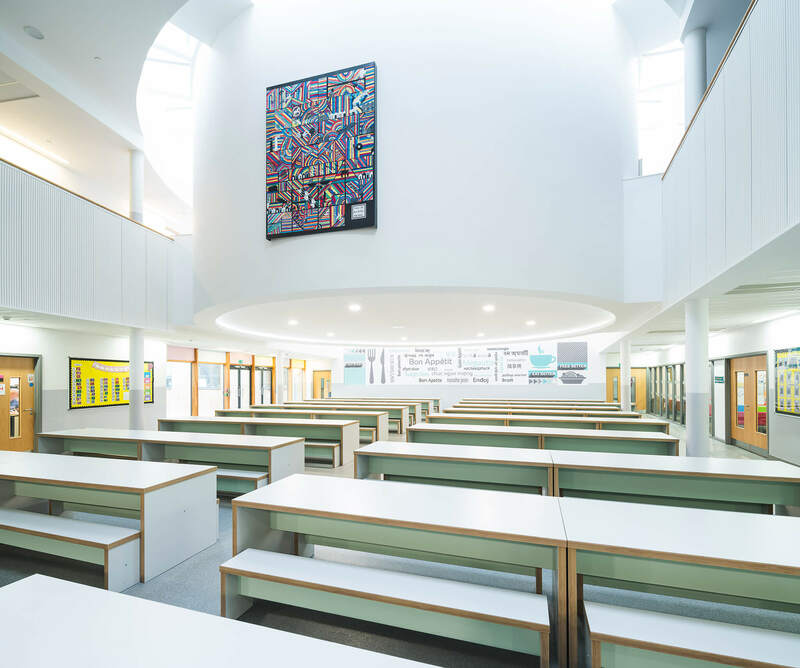 They were strategically positioned to allow a good flow of traffic during busier periods. Our Design Team created a large vinyl graphic for this area. 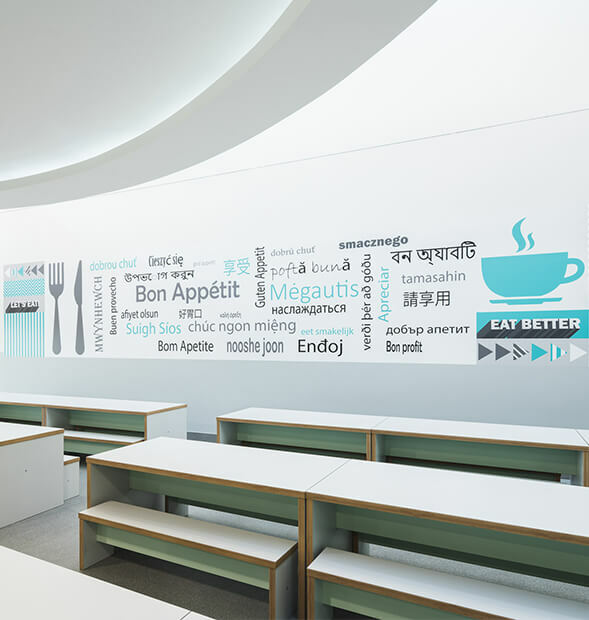 The graphic was a collection of the phase ‘bon appetit’ in the various languages spoken in the School, including Russian, Portuguese and Vietnamese. Pinnacle installed Capacity Storage units to form the clearing up stations for food and cutlery.